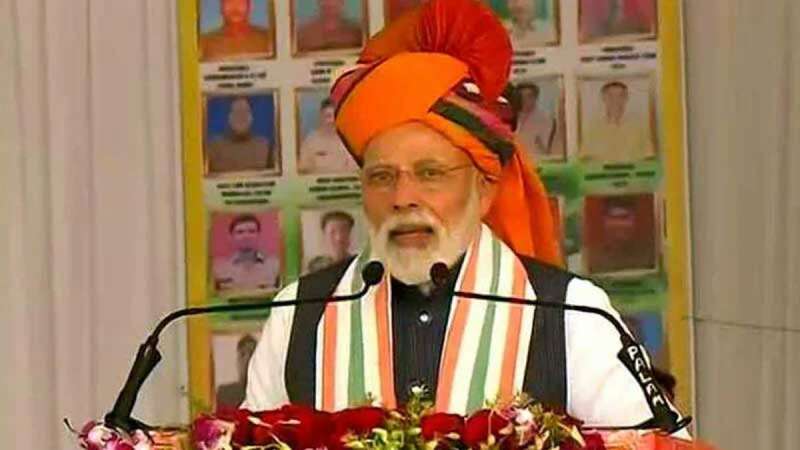 Churu : Hours after India confirmed air strikes on terror camps across LoC, Prime Minister Narendra Modi said at a rally in Rajasthan's Churu: "I assure you, the country is in safe hands." "I pledge on this soil, I will not let the country die, I will not let the country stop, I will not let the country bend. It is my promise to Mother India, I will protect your honour," PM Modi added in his address. On Tuesday morning, India carried out "non-military, pre-emptive air strikes" across the Line of Control to wipe out terror camps, including Jaish-e-Mohammad control room. Indian Air Force fighter jet killed around 200-300 terrorists residing across the Line of Control. IC-814 hijacker Yousuf Azhar, the brother-in-law of Jaish-e-Mohammed chief Masood Azhar, was among some 300 terrorists killed in the Indian Air Force strike at around 3:30 am. Twelve Mirage 2000 fighter jets dropped 1,000 kg bombs on the camp at Balakot, a facility in a thick forest around 80 km from Pakistan Occupied Kashmir, which was the hub of training for suicide attackers.